There has been an noticeable increase in demand for freelance and temporary assistance with DAM-related projects, it seems to be one of the growth areas in DAM that has been largely unreported. Two frequently mentioned requirements are metadata/taxonomy design and asset cataloguing. The former is easy enough to understand and is the result of project analysis that reveal more sophisticated information management needs than was first imagined so that a taxonomist or other metadata expert has to work out how to put it all together. 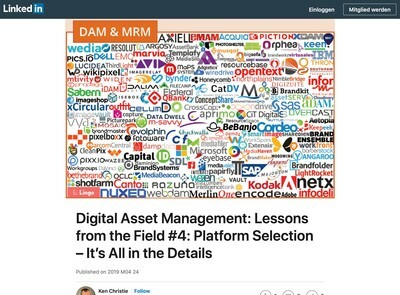 Asset cataloguing accounts for a significant proportion of the time spent actively using DAM solutions – a point not always grasped as early into a DAM initiative as it should be. The dawning of most manager’s DAM consciousness follows three stages that you can summarise as follows: “we need something to organise all this stuff”, “it’s more complicated than we first thought” and finally: “someone or something will have to enter all the metadata to allow anyone to actually find it”. The last part, especially, is where most of the cost of DAM in terms of staff time can be accounted for and over a system’s lifecycle it will probably be far greater than software expenditure, even allowing for on-going support agreements, hosting fees etc. It is important to understand also that the ‘something’ referred to in the hypothetical quote above is by no means a sure-bet and the most consistent way to get decent metadata is for it to be critically reviewed by human beings. 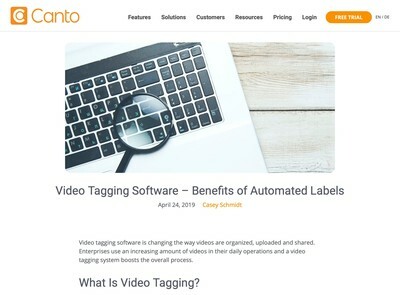 The ROI risk/reward pay-off for cataloguing has the same dynamic as it does for any other investment: the more time saved using some automated techniques, the higher the risks that the metadata cataloguing will be ineffective and result in assets never being found. Divide your collections of assets into key materials that need to be found and less critical items that are not so important (graded according to importance). Direct the external assistance to the most important asset collections first. Ask your consultant to draw up (with your help) some rules and conventions about cataloguing assets into documents, preferably delivered as training materials that use your chosen DAM solution (so with screengrabs showing how to apply the principles). Most DAM consultants offer good value for consulting-related tasks but are poor value from a data entry perspective. Make the exercise as much about training and knowledge transfer so they pass on their expertise to your colleagues. Don’t give them a hard disk full of files, then ask them to get on with it and only come back when they’re done. Quality control the work delivered and test it with real searches, ideally carried out by normal users whose DAM usage patterns are average ones as well as heavy users. Describe your large-scale cataloguing issues with your system vendor and ask them what options are available to help with it, preferably with sufficient time allowed for them to be able to come up with some answers. Their application (or one they know of) might be able to shave off a percentage of the effort required for each asset, but you need to monitor quality also and be wary of them over-promising or trying to convert your cataloguing problem into a sales lead for their professional services divisions. Test everything as often is practical and make decisions based on real results, not guesswork (note that it is reasonable to hypothesise about cataloguing requirements, but validate them before proceeding). The clients my firm works with that get best results from both our services (and those of freelance assistance they might employ as well) carry out some active supplier management. There is a classic 80/20 Pareto Optimality rule in-play here and not a lot of work is necessary to increase the ROI obtained from hiring in external help with any DAM-related task and that goes for taxonomy/metadata and system selection exercises also. The DAM Guru Program freelance/temporary matching service looks like a good addition to the range of assistance now available to DAM users, however, it is as much down to them to ensure they make optimum use of the help on offer as it is the service providers themselves to do a good job. 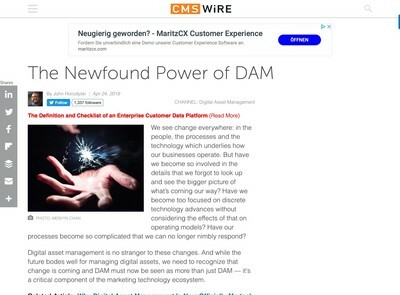 As always, DAM Guru Program is about “connecting DAM experts with people who need their help.” Implicit in this charter is our hope that these relationships result in a transfer of knowledge, whether that knowledges comes for free or not. Organizations could take the route of hiring DAM robots to do it all for them. But I think this is akin to hiring someone to raise your kids. If you don’t have a good relationship with your content, its needs and future potential, you won’t have a solid appreciation of that content. In fact, it will seem like someone else’s content. 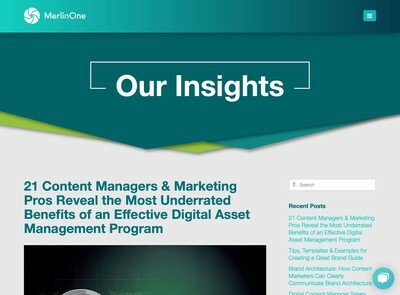 Smarter organizations will take advantage of the expertise available within DGP to educate themselves about what’s possible with digital asset management in general, and with their collections, more specifically. I have to add that I can’t believe we can even have conversations like these now! It seems like only a few years ago that there were no voices speaking about DAM on these levels. It was all about Sell! Sell! Sell! And, while for some vendors and consultants, it remains this way, I’m so happy to see so many more people coming forward to speak about DAM as a practice instead of just a profit.